Six developmental live sets of material from Newly Cemented Dedication to Freedom were presented between 2015–2016, each capturing different stages of multiple components of the project, including spatialized and decentralized multi-channel systems of multiple speaker types. Turning Concert took place as part of a residency at Silent Funny in Chicago on August 26 and 27 2016, to develop staging and spatialization of selections from Newly Cemented Dedication to Freedom. The performance and audience areas flowed between each other, marked by two rooms of Cold Light and Fake Fire. The audience was invited to change places throughout the concert. 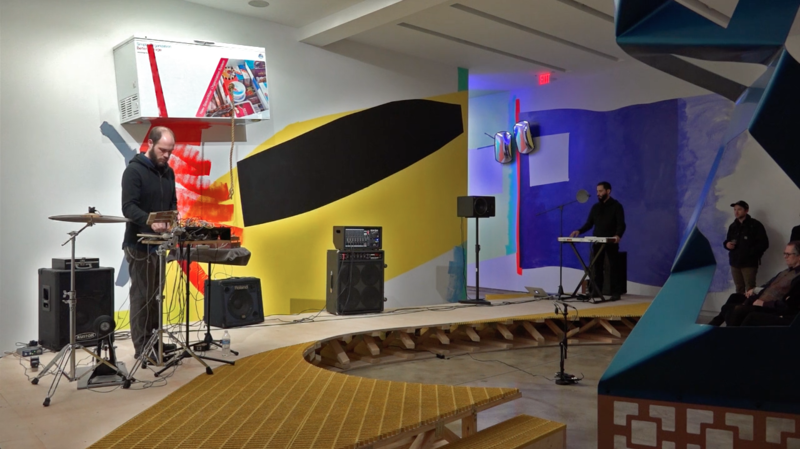 The music happened in varying degrees of performance and reproduction (shifting between live playing and listening to studio pieces played back), over a decentralized arrangement of multiple speakers and speaker types. Coppice was joined by special guests: sound artists Lou Mallozzi and Peter Speer. A fire-based dual-projection installation by Phil Peters filled one of the rooms with dim flickering and impressions of warmth. Lou Mallozzi conceived and performed two improvisations with Coppice. The first consisted of two 20-foot pieces of .75-inch diameter steel conduit connected to Mallozzi’s ears as he sat between the two different rooms. Coppice performed very delicate, quiet sounds using mouth-blown Capillaries (collections of tubes of different lengths) at the two separate spaces into Mallozzi’s tubes. While Coppice couldn’t hear each other, Mallozzi heard them both in separate ears, and in response improvised vocal sounds with two microphones very close to his mouth, amplified over two loudspeakers placed in each of the separate spaces. The second improvisation used two microphones in and around Mallozzi’s mouth to create controlled feedback in a pair of drones that shifted pitches and beating patterns, combining and colliding in the bifurcated architecture. 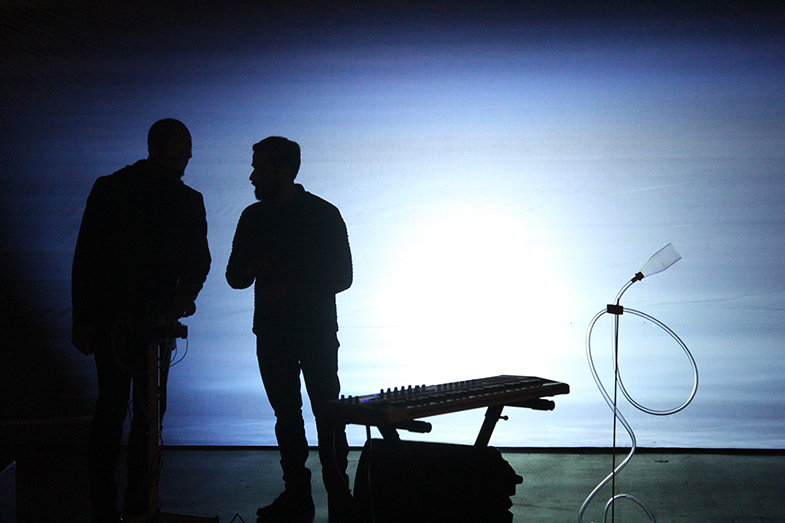 In response, Coppice performed with their custom Multi-Material Filter, plastic tubing, and a Rhodes Piano Bass, while Peter Speer joined with modular synthesizer. Thank you to Matt Baron. 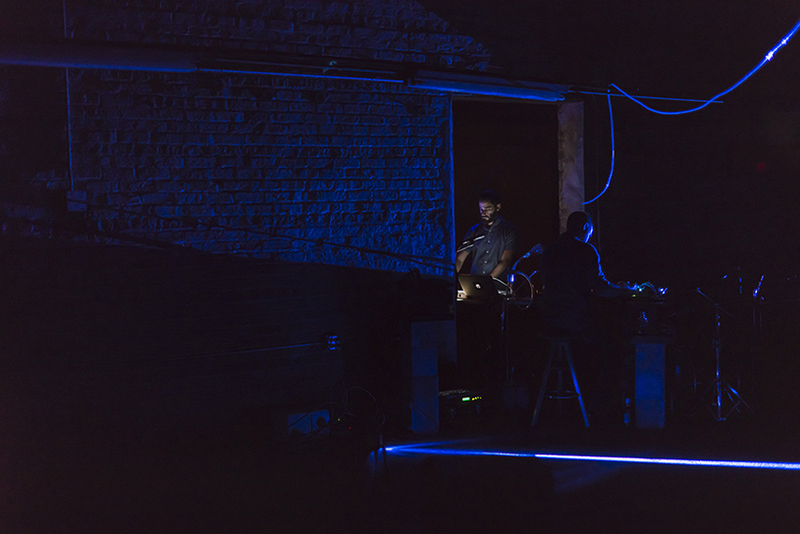 As inversions of Newly Cemented Dedication to Freedom at its inception and conclusion, the concerts By The Ankles were presented in Chicago at 6018 NORTH in 2014 and at Constellation in 2017.